Once upon a time, there was magic. Growing up in South Africa, you find that fantasy is more of a cultural niche; it’s something that slips between the cracks. Now, you could throw a stone and maybe hit a fantasy fan (please don’t), but the fact is that if you pick up a stone and toss it, you’re more likely to hit someone who’s more into crime-fiction, or reality TV. We also won’t talk about the elephant in the room, or what color it is. It’s a touchy subject. The trouble is that a quick perusal of what constitutes SA Fiction very quickly deteriorates into separating the piles of what looks like essays on our unfortunately ‘ever-present’ past from stories of imagination. The imagination pile is rather small. Now, 2015 is slap-bang in the middle of an age that doesn’t quite know what it wants in terms of artistic expression. On the one hand we have a desperate need for something fresh, and for originality. On the other hand, we also have people clamoring for some ‘realism’, in their entertainment. People want a “Slice of Life” in what they see – I suppose it’s a need to relate with their entertainment. …Hey, wait. Skinny jeans, beard, lenses… is reality a hipster? See, the trouble with fantasy these days is that it’s too easy to generalize an idea of what it might be, and that’s most likely the problem with people’s opinions with it. Postmodernism has also made people hyper-aware of things like plot – the idea of what could possibly happen, based on everything that has ever happened before and how likely it is to happen again. You’ll hear it again and again – there are only a finite amount of narratives in the world, and so on and so on. The faux-losophy of it all is maddening! What any genre is limited by is not the narrative but the dearth of good writers, capable of conveying a point and doing it well. ‘It’s the stuff with magic in it’. 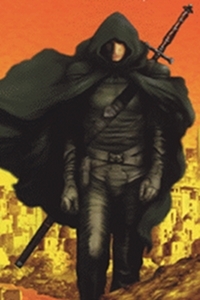 Fantasy allows the writer to explore facets of humanity that don’t always get the limelight it deserves. 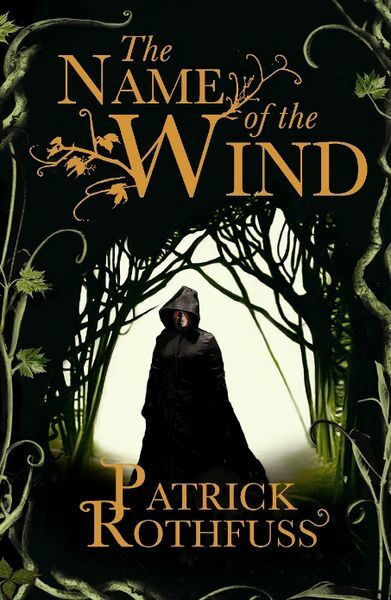 And while ‘The Quest’ is the popular framing device (made famous by Tolkien’s The Lord of the Rings), the truth is that ‘The Quest’ is sometimes too narrow a narrative to truly say what the writer wants to say. Sometimes the Quest is just a background to what the writer’s really aiming for, to what the reader is meant to understand. Sometimes the Quest and the magical artifact become the backdrop for what we really have to see – a philosophical discussion, a journey of self-discovery, or maybe just a question of ‘Who Am I?’ explored in a dozen different ways. Sometimes fantasy is also just what it is – fantasy – Not so much about a “Slice of Life” as it is about taking the cake and throwing it out of the window. It’s about having fun, as a reader, about diving into another world and losing yourself in it. So, what do we need? Ultimately the world has grown too cynical… it’s almost immune to a sense of wonder, and instead settles for a sense of shock, outrage or guilty pleasure. It’s the sense of ‘feeling alive’ while being alive. The ultimately cynical turn of perception at the close of the 20th century saw the rise of a new generation of hypercritical reviewers, constantly dissatisfied with the arts, split equally between an unhappiness with both realism and a lack of realism. The only response, and the only cure is to hone truly good writers who can make either seem appealing. Fantasy has fallen to the wayside, with many fantasy writers choosing the all-too-average ‘Lord of the Rings’ impersonation. The truly visionary writers are emerging, though, and beginning to establish themselves. Good thing too, as the world is in desperate need of another renaissance. 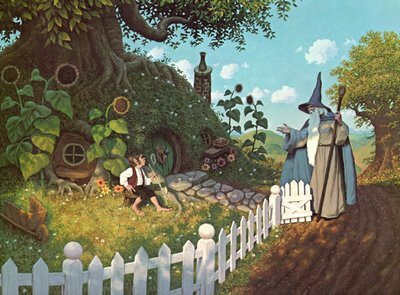 A wizard is ‘good-morninged’ by a hobbit. 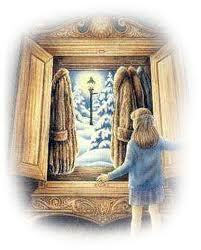 A girl wanders into her wardrobe and onto the snow. 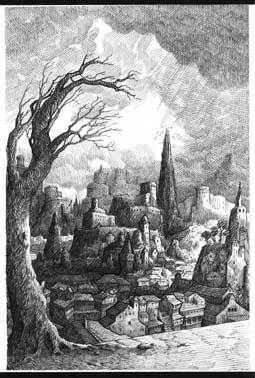 A boy grows up in Gormenghast, afraid of becoming its lord. A torturer betrays his guild by killing the woman he loves, in an act of deadly mercy. A tale of love and skill and vengeance. And of course, the three new talented writers at Troll Magazine, daring the ‘real world’ to live in ours.